My husband, Tony, was 80. He did not have cancer, heart disease, or any terminal illness. He had moderate dementia and was disabled from a stroke suffered on August 2, 2017. After the stroke, he needed a wheelchair to get around. Although he continued to have mini-strokes, Tony did not complain of pain or headaches. He was able to converse, answer questions, smile, and pray his Rosary. He said “I love you” often. We rolled his wheelchair up to the table and he fed himself. After spending a couple of months in two different facilities for rehabilitation, Tony moved home under my care and the care of paid caregivers. On November 1, 2017, I signed him up for hospice care, as I thought hospice was compassionate and would provide the supplies and nursing care he needed. On her first visit, the hospice nurse brought a bag full of the “end-of-life” drugs they planned to use. I did not understand why I needed these drugs, but dutifully put the bag in the back of my refrigerator as advised. I have since learned that most hospices today do provide several drugs to have on hand and use according to standing orders. On January 15, 2018, hospice offered to give me a “caregiver’s respite” for five days, as I was having health problems. Tony was admitted to the respite care wing of a nursing home where I visited him every day. Arriving about noon on January 16, I found Tony unable to sit up in his wheelchair. When I sought an explanation, a nurse told me that he had been given the sedative Ativan (brand name for lorazepam). I was livid. I had previously made it clear that no sedatives should be given to Tony because he was highly sensitive to any drugs affecting the brain. I called the hospice nurse and told her to stop this drug immediately and that he was never to be given it again. 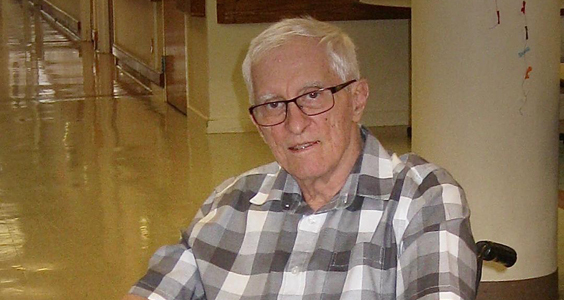 It was difficult to care for Tony at home because I was suffering from angina and stress-related high blood pressure, so he was moved to another wing of the nursing home on January 20. This began four months of a shocking lack of care despite my frequent complaints and visits with the administrator. Because it was extremely understaffed, the nursing home was neglecting Tony. He fell on the floor several times while trying to take himself to the bathroom. I decided it was time to move him home. Looking back, I feel I should have seen a red flag the first time he was given a sedative in violation of my explicit instructions. Tony came home on May 1. Getting lots of hugs and attention, my husband was happy at home. He loved feeding the deer off the back porch and watching old classic movies. The hospice nurses presented a professional appearance. They arranged for aides to give him showers at home, and a nurse came once a week to take his vital signs. I made special foods for him and gave him nutritional supplements. We were grateful we had bought long-term care insurance because it meant he was able to have a steady stream of caregivers throughout the day. Everything went very well for about two weeks. Then Tony had symptoms of a urinary tract infection (UTI). The hospice nurse brought in Levaquin, an antibiotic frequently used to treat UTIs and other infections. Tony soon developed tendonitis in his left shoulder, painful abdominal cramps, and extreme weakness, as well as nausea and vomiting. Some of those symptoms may have been caused by the liquid Tylenol used to reduce his fever and pain, but tendonitis is a side effect of Levaquin. The hospice nurse said that, since he was in pain, she should give Tony Ativan to calm him down. Tony wasn’t agitated in the least, but I wanted him to be comfortable and, unfortunately, did not question her. Later I would realize that the Levaquin should have been stopped when the tendonitis developed, it should have been replaced with a different antibiotic, and Ativan should not have been given. But, at the time, I trusted the hospice nurse. On June 5, my daughter moved in to give me support. We were told Tony was dying and to just keep him comfortable, which seemed to mean we were to give him steady doses of Ativan and morphine, closer and closer together, and more and more. Tony was sleeping all the time. At night he went into periods of delirium. At some point, the nurse also gave him Haldol, an antipsychotic drug. I can’t imagine why this drug was given. I believe now that Tony was a victim of stealth euthanasia. Tony had never complained of pain until he was given Levaquin. While in hospice, a doctor signed the nurse’s orders electronically without seeing Tony. Tony’s vitals had been very good until hospice introduced one drug after another: Levaquin, Ativan, Haldol, and morphine. If Tony had been given hydration, nutrition, and appropriate care for his UTI, I believe he would be alive today. The omission of appropriate care and medical treatment, and a lethal combination of drugs sealed his fate. On June 10, 2018, my husband died. I miss him. Tony’s death certificate is a complete fraud. It says the cause of death was “coronary heart disease,” but he had a strong heart. He had been thoroughly examined by doctors prior to his admission to hospice and had no history of heart disease. The hospice nurses handled the whole thing. No hospice doctor ever examined Tony. About a week after Tony’s death, I awoke from a sound sleep in the middle of the night with a startling realization. I never should have trusted the hospice. Since I gave him the drugs and didn’t insist on getting him real medical care when he needed it the most, I failed him and myself. I felt like I had killed him. It was all my fault. He was clearly dehydrated to death, and the use of constant sedation was an attempt to mask his agony. I will carry this pain for the rest of my life. Note from HALO: Some of us have had experiences like Gloria’s. We suspect or know that a loved one’s death was deliberately caused by healthcare providers we thought we could trust. We understand the pain and guilt Gloria expresses. When a loved one is sick, family members often are very vulnerable due to anxiety, stress, and exhaustion. We cannot blame ourselves for trusting and being deceived by charlatans who practice stealth euthanasia. However, we can do something very important to help others avoid being victims of such crimes. We can use what we’ve learned from Gloria’s and our own experiences to educate our relatives, friends, and others about the dangers they or their loved ones may face in the healthcare system. We can also tell them that HALO is here to help them with immediate assistance when it’s needed to save a life. Simply email feedback@HALOrganization.com. Another resource is the Hospice Patients Alliance. There is a great deal of valuable information on its website (www.hospicepatients.org) about what should be done and should not be done in hospice. All the information is there so people can make sure that these killings are not allowed to happen. Some hospices provide excellent end-of-life care. Nevertheless, people need to be warned that many hospices today practice stealth euthanasia. Forewarned is forearmed. “Stealth euthanasia” means deliberately hastening a patient’s death while pretending to provide appropriate treatment and care. Actions and omissions intended to cause death are disguised or hidden from those who may object, such as concerned family members.